Nikki Boyd works for The Missing Persons Special Task Force. Her job description doesn’t normally include homicide cases. 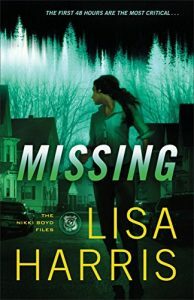 Missing starts out with a bang, with Nikki and her partners being called in to work a double homicide as well as search for two missing people, Mac and Lucy Hudson. The story that follows is a crazy ride including a hostage situation, counterfeit drugs, an increasing number of dead bodies, and a mystery link between her dearest friend, Tyler Grant, and the Hudsons. I found it helpful that I had read Book 1, Vendetta. This story would probably stand on its own. However, I was glad to be reading it as a follow on from the previous book. I found this story more involved than Lisa’s other books and truly marvel at the way she came up with this complex plot with various stories interweaving with each other. Nikki’s missing sister, Sarah, is still missing from Book#1. By the end of Book #2 there are still no clues indicating whether she is dead or alive. I look forward to Book #3. I do hope before the end of the series we have a resolution to Sarah. And dare I hope for a happy ending? It seems unlikely, given the length of time she has been missing. 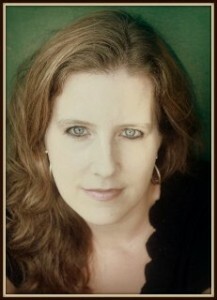 Lisa Harris is a talented author who writes believable and fast-paced suspense novels. If you enjoy a tense and gripping story with an assortment of characters, you will enjoy this novel. Lisa is a Christy Award finalist for Blood Ransom, Christy Award winner for Dangerous Passage, and the winner of the Best Inspirational Suspense Novel for 2011 and 2015 from Romantic Times. She has over thirty novels and novella collections in print. She and her family have spent over ten years living as missionaries in Africa She homeschools, leads a women’s group, and runs a non-profit organization that works alongside their church-planting ministry. Missing is available for pre-order here, and will be released on 5th July, 2016 at the same site. Thank you to Revell and NetGalley who supplied me with a complimentary copy of this book in exchange for an honest review. Vendetta – #1 of the Nikki Boyd Series & Best Inspirational Novel for 2015. Blood Ransom – Christy Award Finalist. 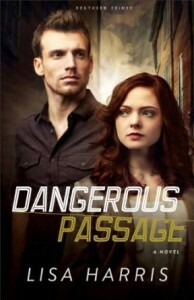 Dangerous Passage – Christy Award Winner. Dangerous Passage, Lisa’s Christy Award Winning book is currently available free for Kindle readers.